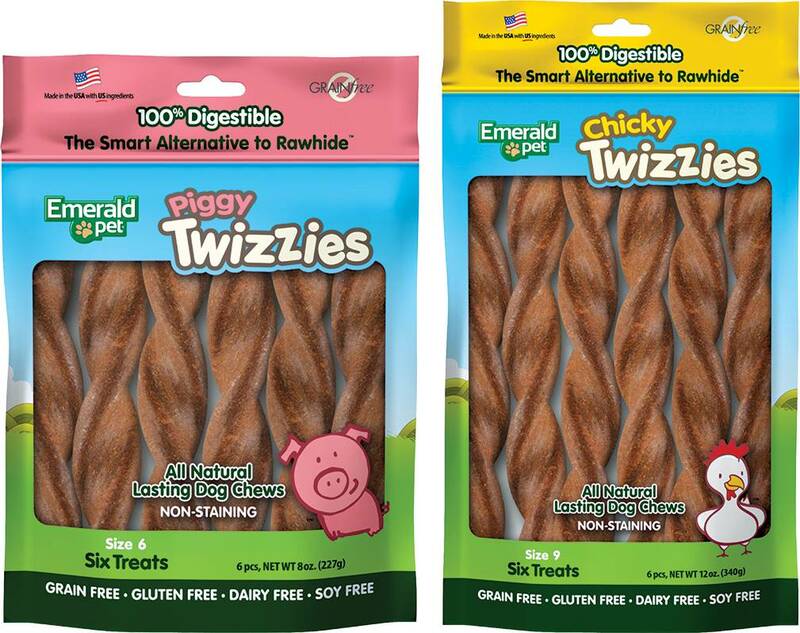 Our delicious Twizzies are the perfect alternative to rawhide, bully sticks, and other body part chews. Available in size 6, 9 and 12 lengths with 4 unique recipes; Piggy (pork), Turducky (turkey and duck), Chicky (chicken), and Peanutty (peanut butter). Your dog will do just about anything to get their paws on these tasty lasting chews. 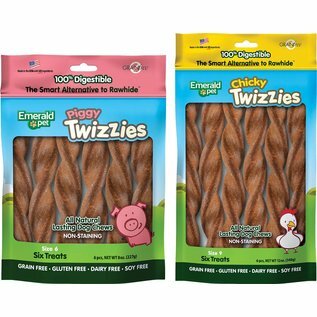 Offered in single serve sticks, new multi-packs and Twizzies bits for all size dogs. No fillers make these a favorite chew for those that demand the best!